the real-world interactions are lost in the rigidness of our online tools. In this basic way, Google want to make better by including you, your relationships, and your interests. 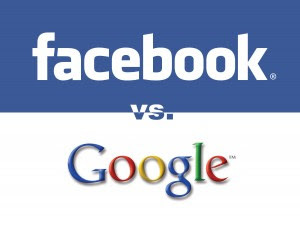 Rather then like to bring the nuance and richness of real-life sharing to software. In the social networking sites we share things among our friend list. But in real life we share things with our friends, buddies, another with parents, and almost nothing with our boss. Because in present day the all relations are wrap in "friend" paper. Sense: we brought Circles to software. Just make a circle, add your people, and share what’s new—just like any other day. Online conversation inspire sharing, and we’ve all got one (or two, or three...). It’s on any topic like Blogger, Make Money Online, SEO, or fashion, but the attraction is always the same: it comes up in conversation, we immediately jump in, and we share back and forth with other fans. Internet is the Ocean of great content from daily articles to latest photos and videos. And great content can always lead to great conversations. Google noticed, that it’s still too hard to find and share the things we care about—not without lots of work, and lots of noise. 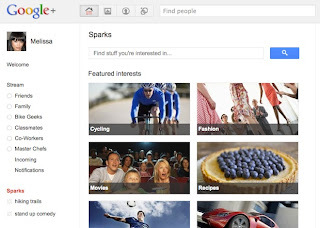 So, Google built an online sharing engine called Sparks. Simply add your interests, and you’ll always have something to watch, read and share—with just the right circle of friends. 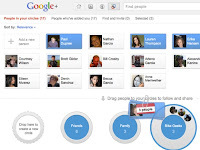 With Google+ you can make on-screen gatherings fun, fluid and serendipitous, so Google created Hangouts. By combining the casual meetup with live multi-person video, Hangouts lets you stop by when you're free, and spend time with your Circles. Face-to-face. 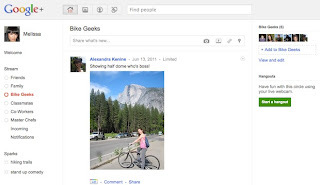 with Google+ you can (like GPS, cameras, and messaging) make your pocket computer even more personal. In this feature Google+ adds your photos to a private album in the cloud with your permission, This way they're always available across your devices—ready to share as you see fit. 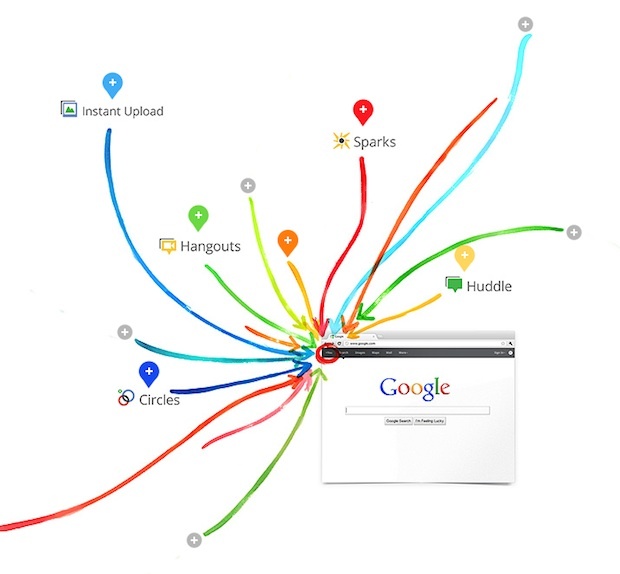 Google+ includes Huddle, a group messaging experience that lets everyone inside the circle know what's going on, right this second.